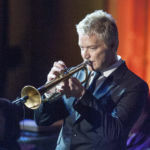 Since the release of his 2004 critically acclaimed CD “When I Fall in Love,” Grammy Award-winning trumpeter Chris Botti has become a top-selling American instrumental artist. Performing worldwide and selling more than four million albums, Botti has found a form of creative expression that begins in jazz and expands beyond the limits of any single genre. With this new special, Great Performances puts the spotlight on Botti and his band, capturing one of today’s leading jazz trumpeters at his peak. 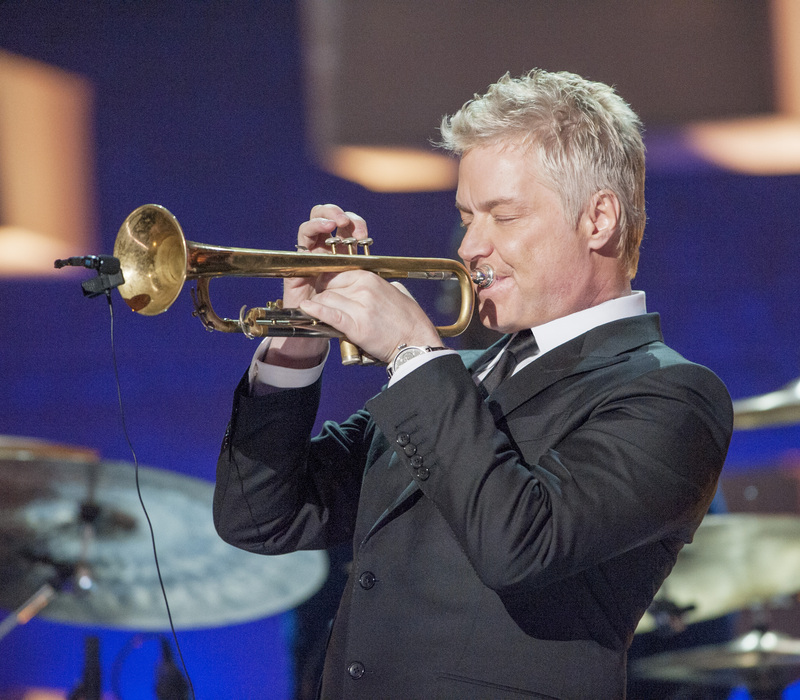 Great Performances: The Chris Botti Band In Concert premieres nationwide beginning August 18 on PBS (check local listings). Performing well-known hits like “The Look of Love,” “The Very Thought of You,” “Cinema Paradiso” and “When I Fall in Love,” Botti is joined on stage by vocalists Sy Smith and Veronica Swift, violinist Caroline Campbell and organist Joey DeFrancesco, along with band members: pianist Taylor Eigsti, guitarist Leonardo Amuedo, Reggie Hamilton on bass, keyboardist Rachel Eckroth and Lee Pearson on drums. Equally at home in all musical genres, Botti guides the audience through a seamless and unforgettable live concert experience. 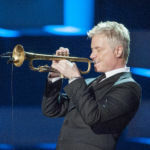 Over the past three decades, Botti has recorded and performed with the best in music, including Sting, Barbra Streisand, Tony Bennett, Lady Gaga, Josh Groban, Yo-Yo Ma, Michael Bublé, Paul Simon, Joni Mitchell, John Mayer, Andrea Bocelli, Joshua Bell, Aerosmith’s Steven Tyler and Frank Sinatra. He’s had four No. 1 albums on the Billboard Jazz Album chart, earned multiple Gold and Platinum albums and his 2013 album “Impressions” won the Grammy Award for Best Pop Instrumental Album. 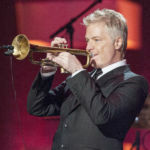 Great Performances: The Chris Botti Band In Concert was directed for television by David Horn and produced by Mitch Owgang. For Great Performances, Bill O’Donnell is series producer and David Horn is executive producer. Major funding for Great Performances is provided by the Irene Diamond Fund, the Anna-Maria and Stephen Kellen Arts Fund, The Starr Foundation, The Agnes Varis Trust, the LuEsther T. Mertz Charitable Trust, the Kate W. Cassidy Foundation, The Philip and Janice Levin Foundation, The Joseph and Robert Cornell Memorial Foundation, Jody and John Arnhold, Rosalind P. Walter, Ellen and James S. Marcus, the Lenore Hecht Foundation and PBS. For editorial use in North America only in conjunction with the direct publicity or promotion of GREAT PERFORMANCES. No other rights are granted. All rights reserved. Downloading this image constitutes agreement to these terms. 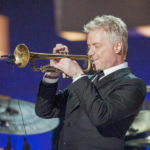 Grammy-Award winning jazz trumpeter Chris Botti in Great Performances: Chris Botti Live in Concert.". Credit: Joseph Sinnott/ ©2018 THIRTEEN PRODUCTIONS LLC. All rights reserved. 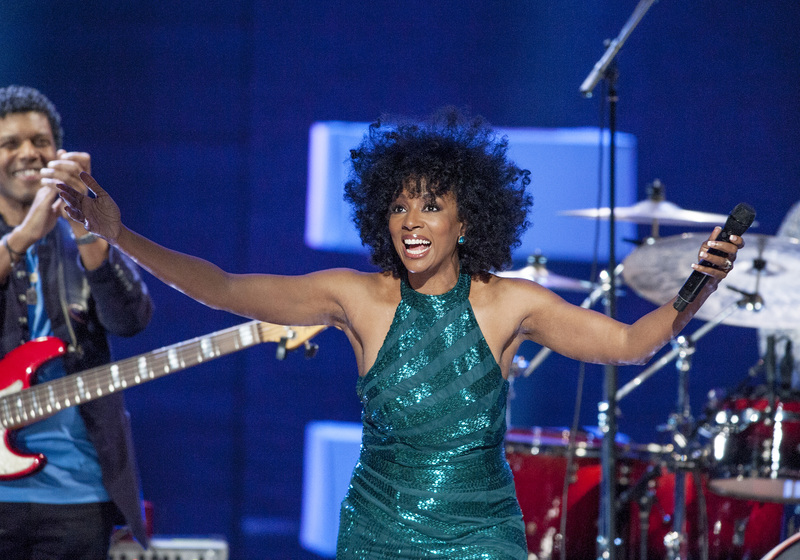 Sy Smith performs in "Great Performances: Chris Botti Live in Concert." Credit: Joseph Sinnott/ ©2018 THIRTEEN PRODUCTIONS LLC. All rights reserved. 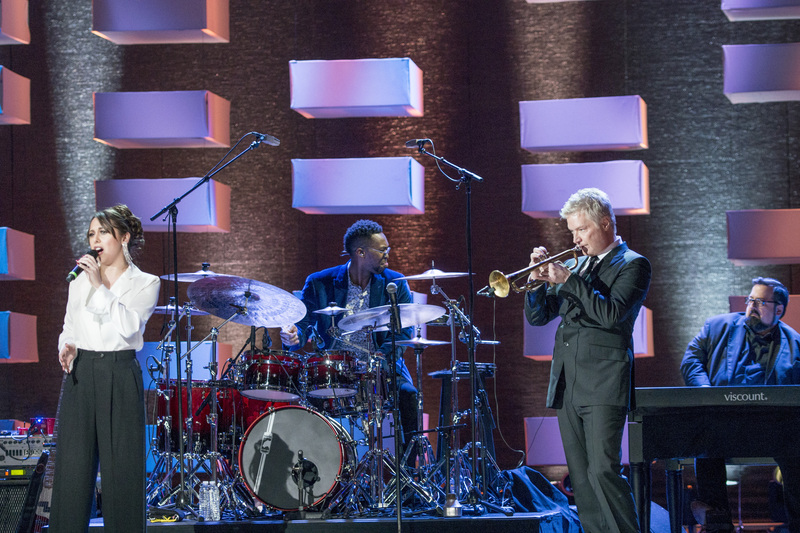 Caroline Campbell performs in "Great Performances: Chris Botti Live in Concert." Credit: Joseph Sinnott/ ©2018 THIRTEEN PRODUCTIONS LLC. All rights reserved. 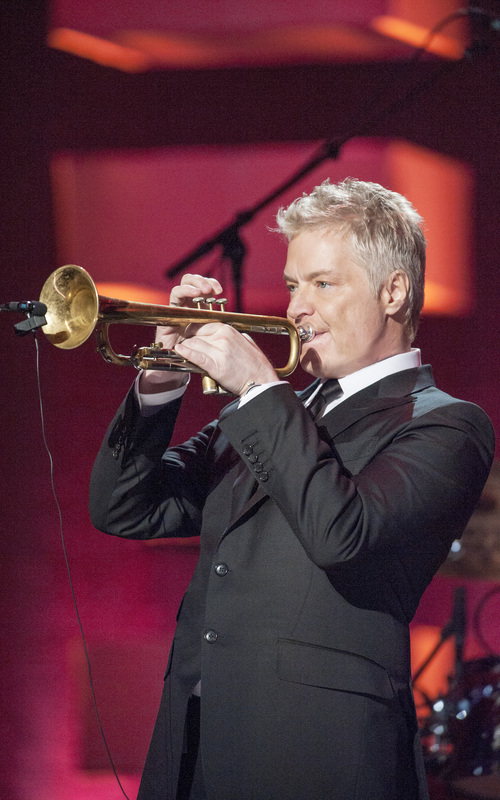 Grammy-Award winning jazz trumpeter Chris Botti performs in "Great Performances: Chris Botti Live in Concert.". Credit: Joseph Sinnott/ ©2018 THIRTEEN PRODUCTIONS LLC. All rights reserved. 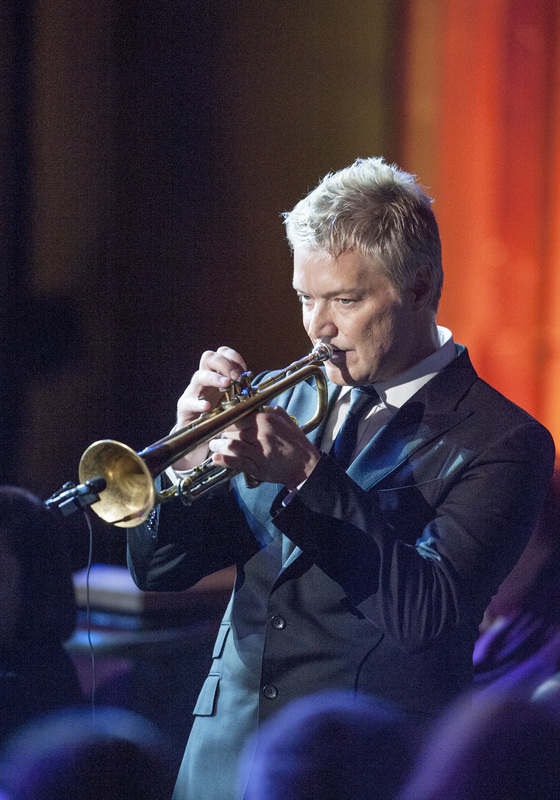 Grammy-Award winning jazz trumpeter Chris Botti performs in "Great Performances: Chris Botti Live in Concert." Credit: Joseph Sinnott/ ©2018 THIRTEEN PRODUCTIONS LLC. All rights reserved. 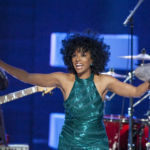 Veronica Swift performs in "Great Performances: Chris Botti Live in "Great Performances: Chris Botti Live in Concert." Credit: Joseph Sinnott/ ©2018 THIRTEEN PRODUCTIONS LLC. All rights reserved. 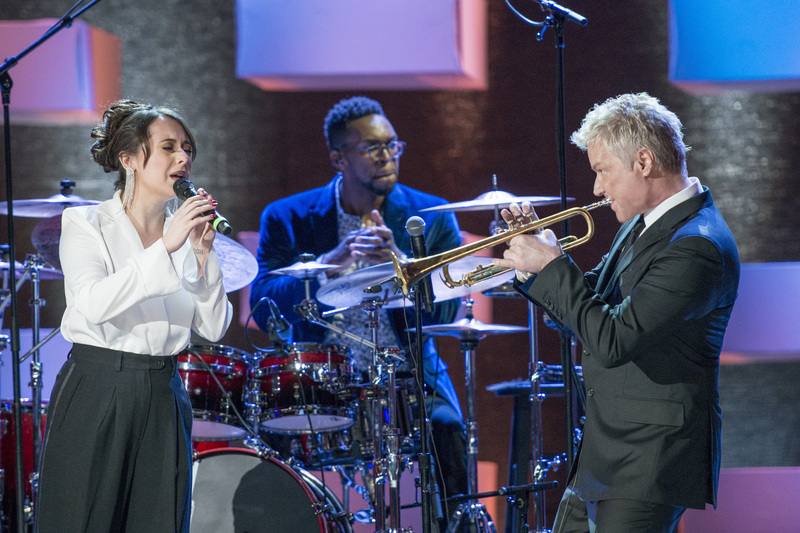 Grammy-Award winning jazz trumpeter Chris Botti performs with violinist Caroline Campbell in "Great Performances: Chris Botti Live in Concert." Credit: Joseph Sinnott/ ©2018 THIRTEEN PRODUCTIONS LLC. All rights reserved. 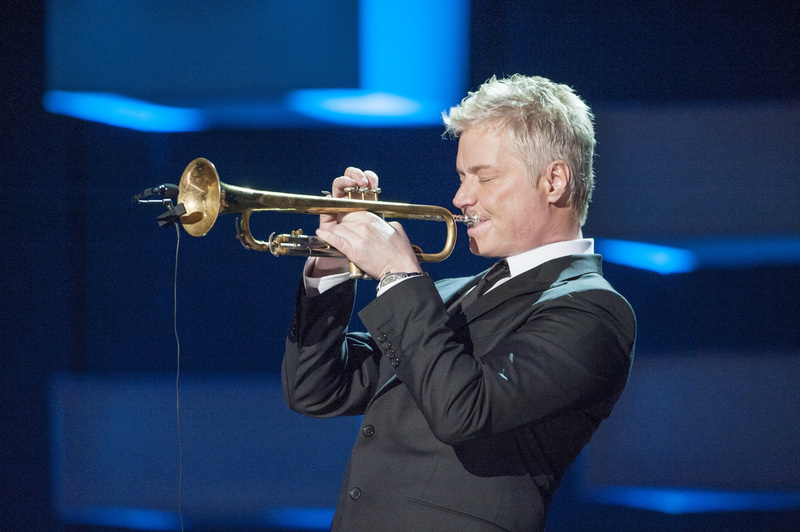 Grammy-Award winning jazz trumpeter Chris Botti performs with Veronica Swift in "Great Performances: Chris Botti Live in Concert." Credit: Joseph Sinnott/ ©2018 THIRTEEN PRODUCTIONS LLC. All rights reserved.